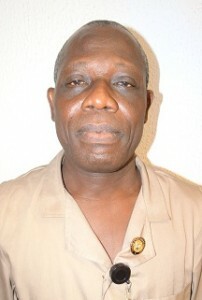 Mr. Babatunde Annan was born on the 22nd of December 1960. He attended Methodist Primary school, Surulere, Lagos and Olivet Baptist Hig h School, Oyo, Oyo State, for his secondary school education. He proceeded to the school of Basic Studies, Kwara State College of Technology between 1979/81 for his A-level. In 1982/84, he attended the School of Technology, Kwara College of Technology to obtain a National Diploma (OND) in Town and Regional Planning and proceeded to University of Ibadan for Bachelor Degree (B.Sc.) in Geography 1984-87. His hobbies are football and travelling.